Say goodbye to morning sickness - morning, noon, and night. 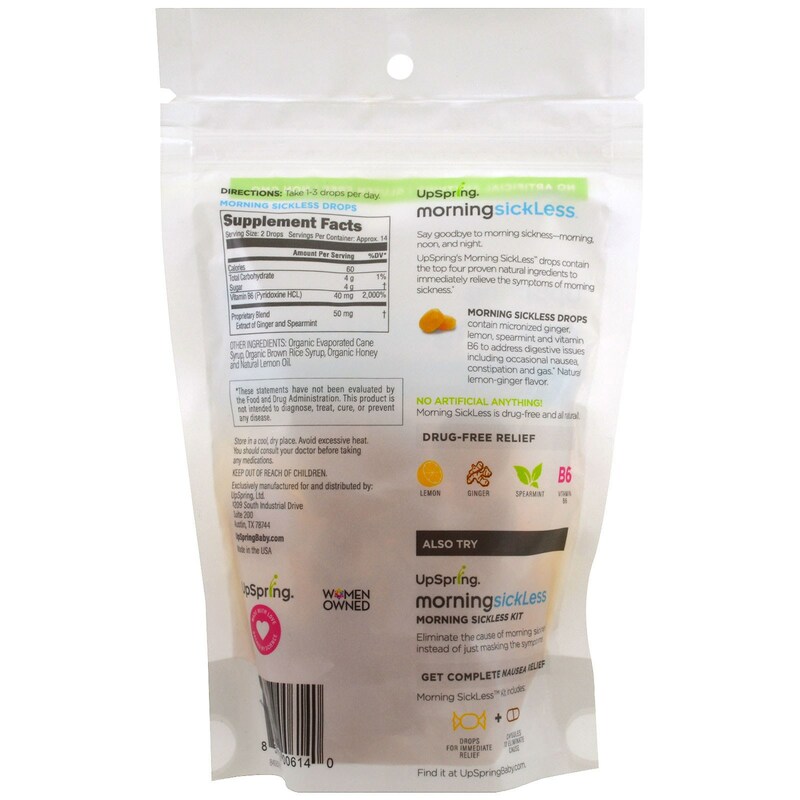 UpSpring's Morning SickLess drops contain the top four proven natural ingredients to immediately relieve the symptoms of morning sickness. Morning SickLess Drops contain micronized ginger, lemon, spearmint and vitamin B6 to address digestive issues including occasional nausea, constipation and gas. Natural lemon-ginger flavor. Morning SickLess is drug-free and all natural. Organic evaporated cane sugar, organic brown rice syrup, organic honey and natural lemon oil.